The Isle of Man offers a low tax rate environment and since there is no definition of residence, only individuals who come to the island with the intention to establish residence will be treated as tax residents. There are some rules which actually determine who is a tax residence and these are usually to be accompanied by a physical presence in the Isle of Man. An individual will be treated as a tax resident if he or she is present physically on the island for more than a six month period in a taxable year or more than 90 days in each year on average for a four year consecutive period. Income tax is payable with a capping of IMP 120,000 for a single person or 240,000 for a married couple.As with other offshore jurisdictions, the Isle of Man operates a taxation system for non-residents, where tax is paid only on income generated on the island itself. The same income tax rules as residents apply for non-residents although the rate is slightly higher for non-residents. Still, some types of income will allow a capped liability to be introduced with tax deducted at source. If you are a non-resident, allowances cannot be claimed.Taxation rates are as follows for non-residents:A 20 per cent flat tax rate on all income with a ceiling of IMP 120,000.For residents the first IMP 10, 500 is charged at 10 per cent while the rest is chargeable at 20 per cent. For a married couple the 10 per cent figure applies for the first IMP 21,500.The Isle of man has no capital gains tax, stamp duty, inheritance tax or even a wealth tax. 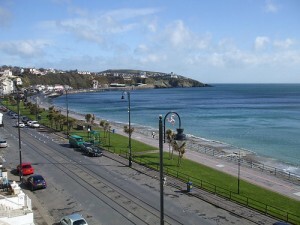 The corporation tax rate is currently at zero per cent while bank profits are taxed at 10 per cent with all rental and land income also taxed at this rate which makes it extremely competitive in this sector.With a financial services industry that is considered to be one of the best in the world as regards regulation and performance, the Isle of Man boasts an environment which is excellent for banking and investment business. It has a Financial Supervision Commission which is an important regulator for such banking and investment business whilst there is also an Insurance and Pensions Authority which deals with pensions and the insurance sector. The island has also implemented several measures which have been approved on an international scale and which are intended to fight money laundering as well as other similar criminal activity. With a burgeoning Companies Registry and excellent regulation of service providers, corporates, limited partnerships and limited liability companies, the FSC also sets the fees rates as well as conducting its own inspections.The Isle of Man also has excellent legislation in the e-Gaming industry which also provides for extremely low taxation rates on profits. In fact the Isle of Man has gained what is deemed as a ‘white listing’ by the UK Gambling Commission and this has greatly enhanced the island’s reputation as a classic e-gaming jurisdiction. The local government thus strongly encourages the development of such business and is also greatly committed for the delivery of an environment which is very strong on the regulatory front but which is also propped up by several attractive benefits. The gaming operations in the Isle of Man are regulated by the GSC or the Gambling Services Commission which was incorporated in 1962. Being one of the first jurisdictions to actively pursue the path of online gambling, the Isle of Man began introducing legislation which benefited this sector for the first time in 2001 when the Online Gambling Regulation Act came into force. This was amended by the Gambling Act of 2006 and is kept constantly up to date in response to the requirements of the e gaming and gambling industries.There are several benefits in the Isle of Man if you wish to open up an e-gaming company amongst which one finds an extremely low betting duty that varies between 0.1 and 1.5% on the gross profit of the company. Add this to a world class communications infrastructure and a relatively simple process to apply and you have a package that is second to none. Additionally the Isle of Man has also introduced supportive legislation which is aimed at, amongst other issues, to protect those who are vulnerable and young, certification that operating facilities conduct fair business and ensure that players received what is due to them and also making sure that the gambling products which are promoted by the island’s operators are competitive worldwide.With a qualified work force in every level as well as political stability, the Isle of Man is extremely well placed to take on business in the e gaming industry. The financial legislation which is in place also adds value to any company which is operating in this sector. The Isle of Man is also an excellent location for ship or yacht registration where there are several thousand yachts registered.